Testamentary Guardianships: What and why? Whilst reading James and the Giant Peach by Roald Dahl to my children, it suddenly brought to mind the need to appoint testamentary guardians in your will. When the rhinoceros escapes from the zoo and gobbles up James’ parents, he becomes an orphan in a matter of seconds and is forced to undergo a monumental life change by having to live with his terrible aunts, Spiker and Sponge. Getting eaten by an escapee animal isn’t at the top of most parents list of things to worry about, but you should be giving careful consideration to what would happen to your children in the event of your untimely death. By appointing guardians in your will, you can ensure they will be brought up by people with a good moral compass, who you trust implicitly to nurture them into adulthood. It is the legal process that allows you to appoint a guardian to look after your child in the event of both parents’ death. It could be a close relative or friend, grandparent or sibling. If the appointment was to take effect, the guardian would have the same responsibilities and duties towards the child that parents have. 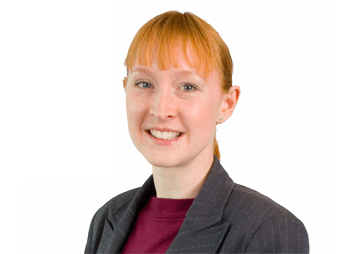 Does a testamentary guardian have to be appointed via a will? This is the most common procedure, although it is possible to make the appointment in writing, provided it is dated and signed by the parent. The guardian would only obtain responsibility for your child if both parents had died. The phrase ‘parental responsibility’ relates to all rights, duties, powers and authority that the law assigns to a parent in relation to their child and his or her property. Testamentary guardians would be responsible for determining where your child goes to school and the religion they are brought up in, consenting to any necessary operations or treatments and accessing their medical records. How old should children be before they receive anything from my estate? It is usually recommended that beneficiaries of a will are at least 18, although in some instances, waiting until they are 21 or 25 years old may be more sensible. It largely depends on how frivolous your children appear to be. We advise reviewing your will every five years to bring it up to date. If you are concerned your child may fritter away their inheritance, it can be placed into trust until such time they are sensible enough to deal with financial matters. When making a will, you should also give some thought to who you would like to act as executors. These are the people who will be legally responsible for carrying out practicalities, such as registering your death and contacting financial institutions to deal with any assets. You could nominate the same person that you appoint as a guardian, or someone entirely separate. Don’t leave your children needing a giant peach to solve their woes. By drawing up a simple will appointing a testamentary guardian, James’ parents could have avoided all that pain and distress. It is very easy to do and can be completed in a face to face meeting with a solicitor, or by filling out a questionnaire that we can send you by email. To find out more about testamentary guardianship or making a will, why not book a free 30-minute consultation with one of our probate specialists? Telephone (0114) 218 4000, email: info@tayloremmet.co.uk or complete this form. Previous Post What’s going on with Ovarian Cancer? Why is it diagnosed so late and how can we change it?